Alexander McCall Smith was born in Africa in a British Protectorate now known as Zimbabwe. For many years he taught law at the university there. Since then he has lived in Scotland where he is Professor Emeritus of medical law at the University of Edinburgh and has served on many international organizations concerned with bioethics. He has never forgotten his life in Africa, however, and we are the lucky recipients of not one but four series of books that he has written about those days, as well as his later life in Scotland. In The No. 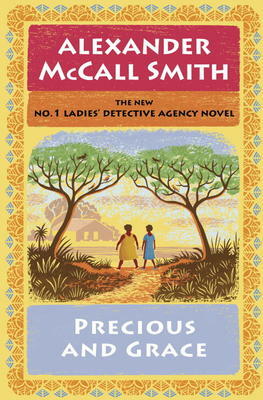 l Ladies Detective Agency he writes intimately about Precious Ramotswe and her assistant-director, Grace Makutsi, and how they help a young Canadian woman looking for someone from her past. Precious is a pioneer in the field of detective work. She is kind and naturally compassionate, but also shrewd. The neighbourhood trusts her and she manages to let most cases solve themselves simply by putting people together and letting them talk things out. The book is filled with the sunshine and warmth of Africa as well as the charm of its inhabitants. It is also a very reassuring read in a world where the subject of ethics is very seldom mentioned.